First impression when we arrived was: it is much better than we expected from the pictures. All: the situation, the view, the property. The owners are very kind and welcoming. 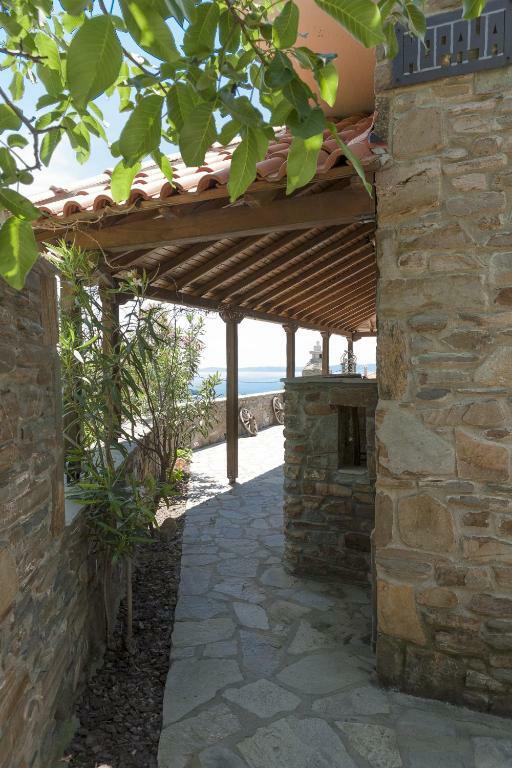 The second thought after arrival was: "we are so grateful that the owners are sharing their private house so we are able to experience this beautiful place". 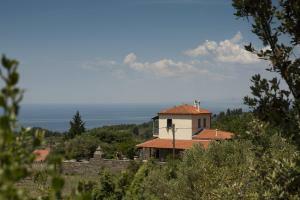 The house is well equipped and cosy, even more: food and drinks for the first days were prepared and included. The property is well fenced and silently situated. 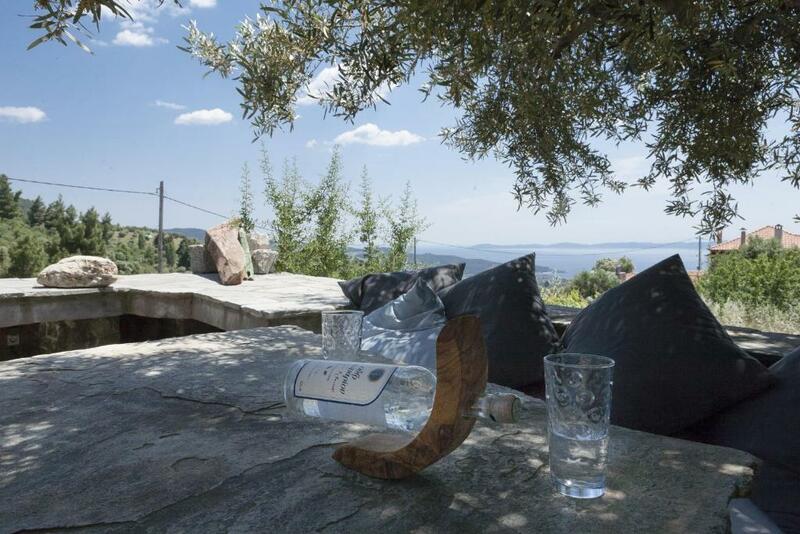 The location in the middle of a vineyard overlooking the olive trees and the gulf just breath taking. And if you like to dance to greek music: there was live music every Friday and Saturday evening until 1am just 50m far in Paul's tavern. The property îs located in the iconic village Parthenonas with beautifull landscape, not far away from beach. The owners are super friendly. Отличный дом целиком в нашем распоряжении. Никаких чужих глаз, бутылочка вина, море и звездное небо. Большой удобный санузел, всегда горячая вода, стиральная машинка. Бытовые вопросы совсем не возникли--все от хозяев с заботой о нас: уголь для барбекю, жидкость для розжига, кофе-чай, масло-сахар, вино-домино. Посуда в наличии, острые ножи, хорошая печь и большой холодильник (даже два). Кондей в спальне (нам не понадобился, морской ветерок с балкона вполне доставлял свежесть) Парковка во дворе, под гранатами и орехом. Чистый большой двор. Все фото соответствуют. Там нет орущих детей, уважаемые друзья! Удобно для двоих. Трое-четверо тоже вполне поместятся. Для пары на автомобиле- отдых супер! Провели на вилле 2 ночи! Незабываемо! Надеемся вернуться. Очень добродушные и приветливые хозяева. Отличное расположение для уединения и покоя. Чисто удобно. Для комфортного проживания, есть в наличие все и даже больше. Место очень располагает для уединения и погружения в релаксации. В доме прохладно и комфортно. Удобные спальные места. Интересный интерьер в доме. Замечательный вид на море. Бытовые мелочи продуманы. Красивый дворик. Совсем рядом таверна, где очень вкусно кормят.До моря совсем недалеко. Поблизости красивые чистые пляжи. 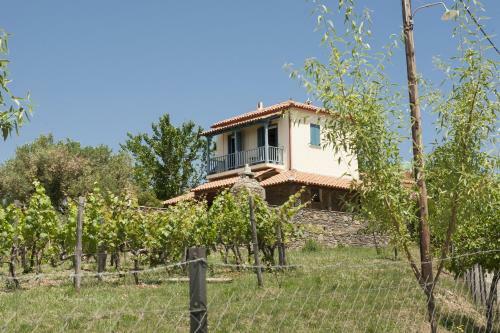 Lock in a great price for Villa Moraca – rated 9.9 by recent guests! 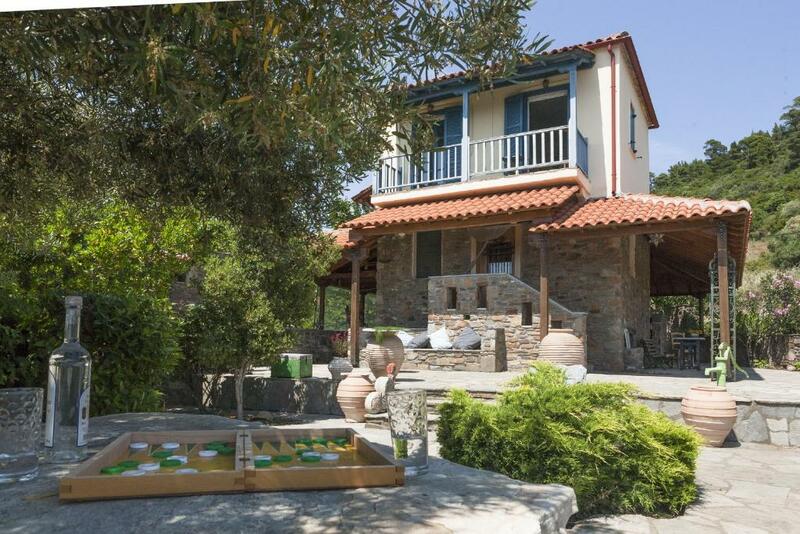 Villa Moraca is a detached holiday home in the traditional village of Parthenonas, located at an altitude of 1,300 feet. Neos Marmaras Town is 3.1 mi away. Free private parking is provided. 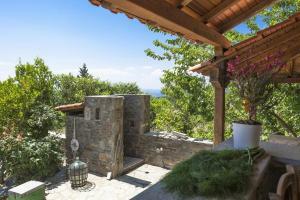 The holiday home is composed of 2 bedrooms and 1 bathroom, fitted with a bath or shower. The kitchen has an oven and a microwave, as well as a coffee machine and a kettle. A flat-screen TV and DVD player are featured. Other facilities at Villa Moraca include a barbecue. Ouranoupoli is 17 mi from Villa Moraca, while Vourvourou is 4.3 mi away. The nearest airport is Thessaloniki Airport, 78 mi from Villa Moraca. 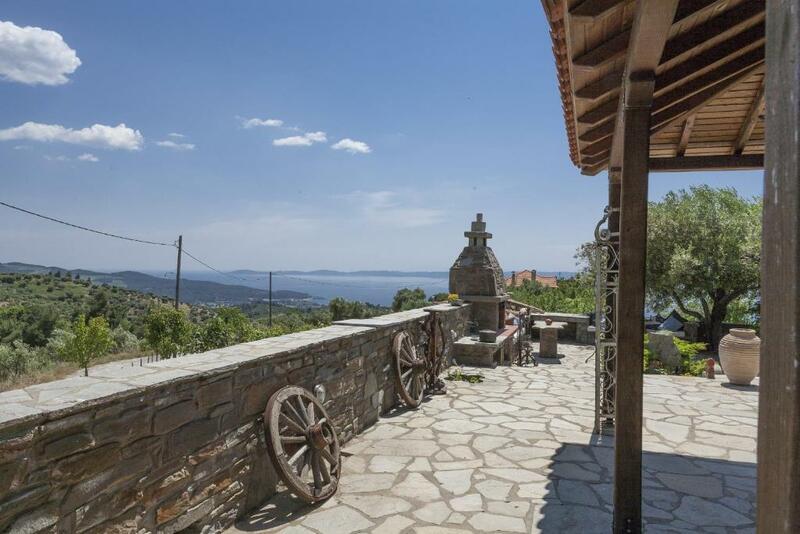 This property is also rated for the best value in Parthenonas! Guests are getting more for their money when compared to other properties in this city. When would you like to stay at Villa Moraca? 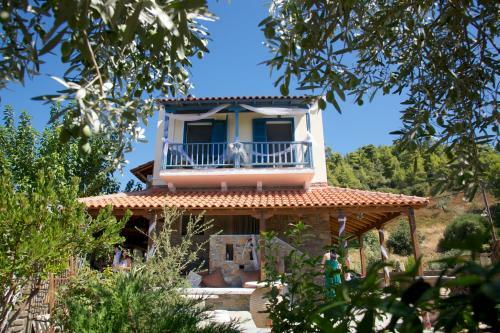 This holiday home has a balcony, as well as 2 bathrooms fitted with a shower. House Rules Villa Moraca takes special requests – add in the next step! Villa Moraca accepts these cards and reserves the right to temporarily hold an amount prior to arrival. A damage deposit of EUR 300 is required on arrival. That's about 337.31USD. You should be reimbursed on check-out. Please inform Villa Moraca of your expected arrival time in advance. You can use the Special Requests box when booking, or contact the property directly using the contact details in your confirmation.